Three times a week I randomly generate two dates, hunt down covers from those dates and then mash them together and force the results on you lovely people, while giving a hat-tip to the wonderful Super-Team Family blog which has been doing this for years (and a lot better) on an almost daily basis. This won’t be the first time Dr Strange tries to cure the Joker . . .
And hey, new number and date format as well! 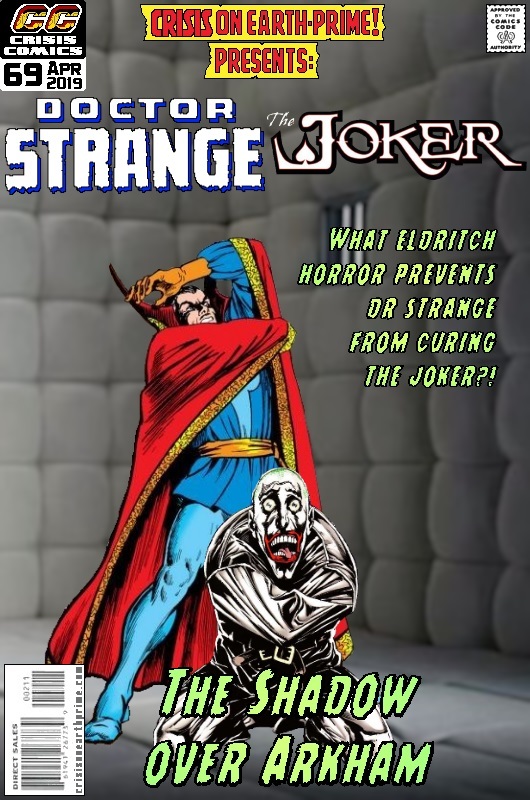 Posted on Friday, April 12, 2019 Saturday, March 23, 2019 by GaryPosted in Mash-UpTagged Dr Strange, Joker. Is the eldritch horror the Great Lord of Editorial Fiat? I would say Doc should just dump Joker into another dimension, but considering that didn’t work when he tried with the Hulk, it would probably result in Joker stealing Mxy’s powers again. Haha! Yeah, Editorial Fiat will ensure that no matter how things change, they’ll always come back to the most commercially viable version. Of course, you’re pretty damn good at this and getting better.